If you need to determine the father of a child, whether for legal reasons or curiosity, paternity testing offers a very effective way to get answers. However, this type of DNA testing can be expensive, sometimes running $500 or more. If you're on a budget but still need to know who the father is, you have a few lower-cost options. In most cases, you'll need to pay for having a paternity test performed. Typically, according to DNA Center, even those people receiving medical assistance are responsible for the cost of the test. However, there are a few states that will help out if you're in need. Arizona - Arizona pays for the upfront cost of the paternity test, and the father of the child must repay the fee. Alaska - Alaska pays for the paternity test, but if the test shows the man is the father, he must pay the state the cost of the test. Louisiana - In Louisiana, the state will pay for the paternity test if either of the parents is receiving public assistance. Each state has different laws about paternity testing. If you're wondering if your state will pay for the test, contact your caseworker or the Department of Health. You may see advertisements for free paternity tests online. These sites offer to send you a totally free test kit to collect your sample. However, it's very important to note that while the test kit is free, the shipping of the tests and the processing of the results all come at a cost. Similarly, low-cost or free tests you can buy in stores also come with fine print. Processing the test often costs well over $100, and these tests are not court-admissible. If you're not on public assistance but still need to get an inexpensive test, you have a few other options. Depending on why you're performing the paternity test, you may be able to do the testing right at home. If you'll be using the test as evidence in a court proceeding, you should always consult your lawyer about the best low-cost options available to you. The following home tests will save you money, but they may not stand up in court. 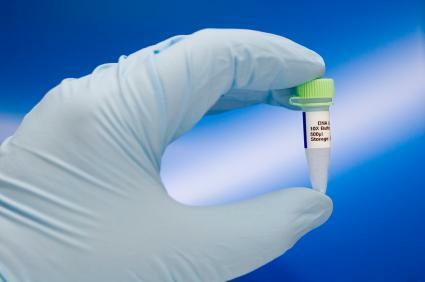 Although the legal test from DNA Diagnostics Center is expensive, the home test is fairly affordable, considering the reputation of DNA Diagnostics Center. This company is the number one source for paternity tests for court proceedings and hospitals. It's also the fastest paternity test you can buy. You'll receive results only one day after the lab gets your sample. Additionally, this lab runs every test twice to guarantee their accuracy. It's important to remember that only the more expensive legal test will stand up in court. Another good option for an informal paternity test is SwabTest. This site guarantees its results are 99.99% accurate. The cost includes $79 for the test kit, the lab test, and results for father and child and $10 for regular shipping costs. Add $25 to the $79 for overnight shipping. There are additional costs for additional participants. This site doesn't process court-legal tests; this is a private test that is offered just to satisfy your curiosity or for other personal reasons. Results take about three to five business days after the lab receives the sample. The HomeDNA paternity test is another possibility if you're looking for results that aren't court-admissible. The free test costs $8 for overnight shipping. Lab testing cost is $150 for father and child only. Additional people can be tested for $85 each. You'll receive results in one to two business days. Although free tests aren't available to everyone and low-cost tests may not be admissible in court, you can still get peace of mind for a fairly limited price. However, before you send off your sample, take a moment to check out the company's reputation. You want to be sure you can trust the results you receive. Ask lots of questions and follow test procedures exactly to ensure you get accurate results.